Today’s post tackles yet another seemingly straightforward question: does buying a home help on taxes? If you were to believe the hype, which you get plenty of, due to the competitive nature of the home lending industry, the answer would be a resolute ‘yes’. Yet, in reality, things are not as picture-perfect, when it comes to the tax benefits of home ownership. Some perks are overplayed, while some of its negative consequences are casually swept under the rug. 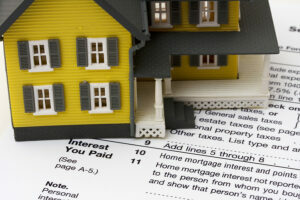 Today, we take a close, honest look of the impact that owning a home will have, come tax time. Any money you pay toward your mortgage, such as principal payments, PMI premiums, property taxes, and points paid at the closing of your mortgage can be claimed, come tax time, as itemized deductions according to schedule A. Itemized deductions are alternatives to standard deductions and you’re only eligible for them if they surpass the total value of all expenses allowed for your household. These expenses include certain state incomes, sales and use taxes, some medical costs, and contributions you’ve made to charity. Another point worth mentioning in here is that, later in the year you buy your home, the more difficult it will be for you to qualify for itemized deductions that year. That’s because you’ll effectively have less time to pay interest and property taxes. That being said, let’s take a look at what is a tax deduction, relative to the typical first time home buyer credit, as well as at what deductions you can expect. Bear in mind that the information below is based on data for first time home buyer tax credit 2013, when mortgage rates were somewhat lower and home prices, albeit on the up and up, hadn’t risen as much as they have until 2015. To apply for this itemized deduction, you need to fill in Form 1098 and file it with your lender. This is probably the biggest tax deduction available for first time buyers. ‘Points’ consist of all the extra money you’re paying your lender, in an effort to lower your interest rate. 1 percent of the borrowed amount equals one point. There’s no single rule as to how tax deductions for points work, so check out IRS Publication 936 and consult with your accountant. Bear in mind that some points will not pay off in deductions at the end of the same year when you paid them, but may stretch out over the duration of the mortgage. If you set up a mortgage escrow account, you might be able to benefit from a property tax deduction, by paying said tax in monthly installments. This is an option worth considering, given the fact that property taxes are usually sizeable amounts. To benefit from a tax deduction from your mortgage insurance payment file for it via the same 1098 Form. And remember to cancel the insurance premium, once you’ve reached 20 percent in home equity. Pay a higher sale price on your home and negotiate a cash-back rewards with the seller. First time homebuyer credit lines allow for this, as long as you use the money for specific purposes, such as home improvement and closing costs. After all is said and done, most home buyers benefit from windfalls during their first years of homeownership – and these amounts can vary in your favor, depending on where you live. For instance, the First Time Home Buyer Ohio Tax Credit Advantage Program will also throw in out-of-pocket cost coverage, making the cash boon even higher. Use that money wisely, by setting up an emergency or college fund, you never know when it’s going to come in handy.